Living in the Communities of Placentia is a lifestyle onto itself. Placentia is a master planned community designed with the residents in mind. Everything in the community was created for the outdoor enjoyment of it’s residents. Parks – There are 18 parks in Placentia for it’s residents to enjoy. There is even a dog park named Wagsdale. Here you will find a list of the different parks and they’re locations. 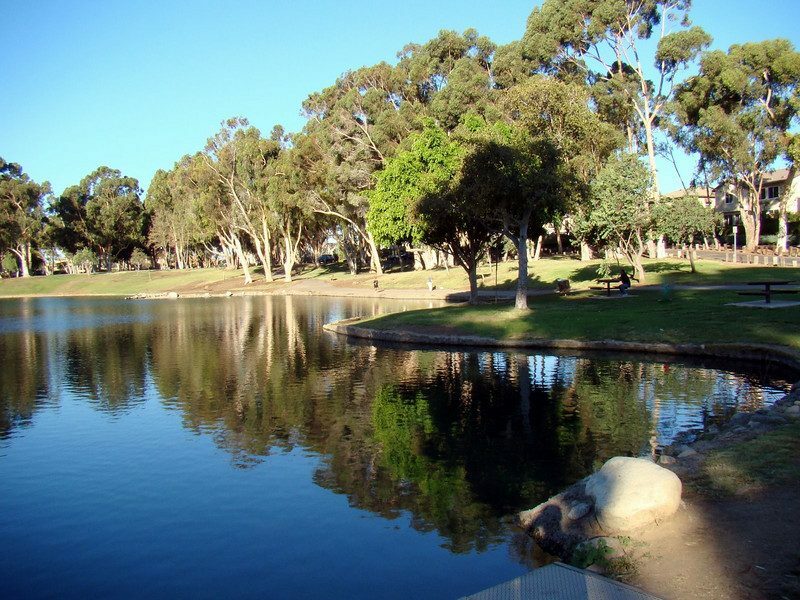 Pocket Parks and Greenbelts – Throughout all of Placentia there are small parks, greenbelts, benches, and barbecue grills for residents enjoyment. Pools and Plunges – There are 4 major pools in Placentia as well as 6 smaller community pools called plunges. The major pools are larger in size and have a club house and spa. The 6 plunges aren’t connected to a club house and they’re considered smaller neighborhood pools. Water Park – Placentia best known amenity is the private water park. The water park is recommended for small children and opens on Labor Day each year. Skate Park – Placentia Skate park is a great concrete skate park located in Placentia. The skate park is for residents only so you need to have a skate park pass to enjoy. The park requires that skate boarders wear safety pads and a helmet. They have a small street course that leads you into a small half bowl and behind that there is a bowl with steel coping and has a pump bump in the middle and behind that is another bowl that goes from about 5 feet to 7 feet. The Placentia private security does come in and check passes. Hiking Trails – Throughout Placentia there are both hiking trails and walking paths. The trails are interwoven throughout Placentia making this community a walker’s paradise. Discover ten miles of hiking and biking trails in and around the community. Placentia trails offer links to Orange County Regional riding, hiking and biking trails within Arroyo Trabuco, branching from Saddleback Mountain and more. Tennis Courts – There are tennis courts available in Placentia for residents. You can also make reservations to reserve a court us to 2 weeks in advance. Wireless Internet – When you live in Placentia you get access to wireless internet access. Cox Communications provides wireless internet service throughout the city which is included in the monthly HOA dues. Shopping Districts – There are 4 major shopping districts in Placentia. They are Bridgepark Plaza, Mercantile West Shopping Center, Mercantile East Shopping Center, and Terrace Shops. In these shopping areas you can find everything from grocery stores, clothing shops, banks, gyms, restaurants, fast food, and much more.